The name says it all, and it’s all in the box. 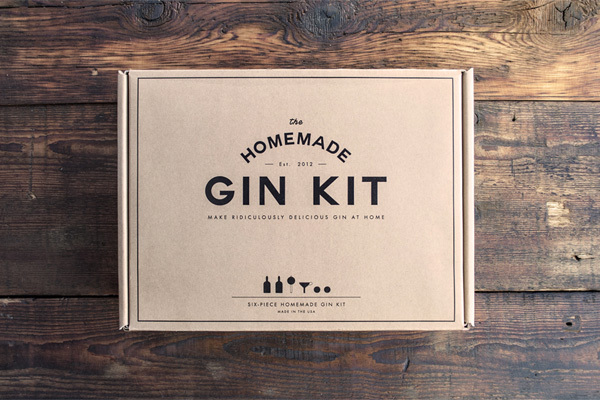 The Homemade Gin Kit contains everything you need to transform vodka into your own, delicious gin: glass bottles, a strainer, juniper berries and a secret blend of herbs and spices. Sold $60, and no bathtub needed!